Why did you start your home care business? Did you have a love for serving people, or did an experience with a loved one inspire you? Understanding and knowing your “why” will help you build a home care business founded on the solid ground of your passion. By sharing your “why,” you will pass on your passion to your team members, helping you to improve your quality of service and retain your caregivers, office staff, and clients. Many lose sight of their “why” and this can ultimately impact client and caregiver satisfaction. So how do you rediscover and define your “why,” and how can you communicate it to help grow your business? 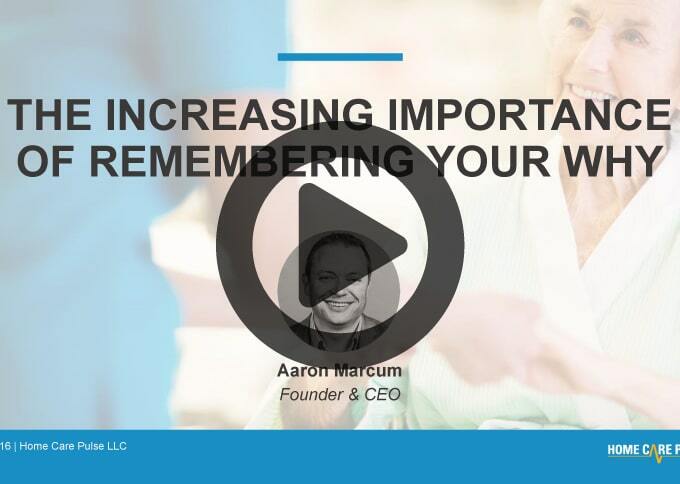 In this CORE Webinar replay Home Care Pulse CEO, Aaron Marcum, discusses the importance of connecting your team to your “why,” and how it will help you to retain your best team members. 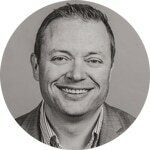 Aaron will also cover three strategies leaders use to connect new hires and existing team members to their “why,” and how these strategies can boost recruitment, marketing, sales, and operations.